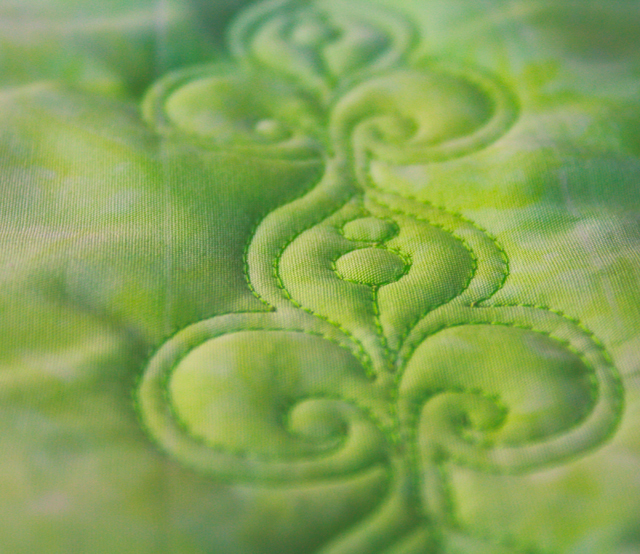 Today is Tuesday and it is time for another free motion quilting tutorial! 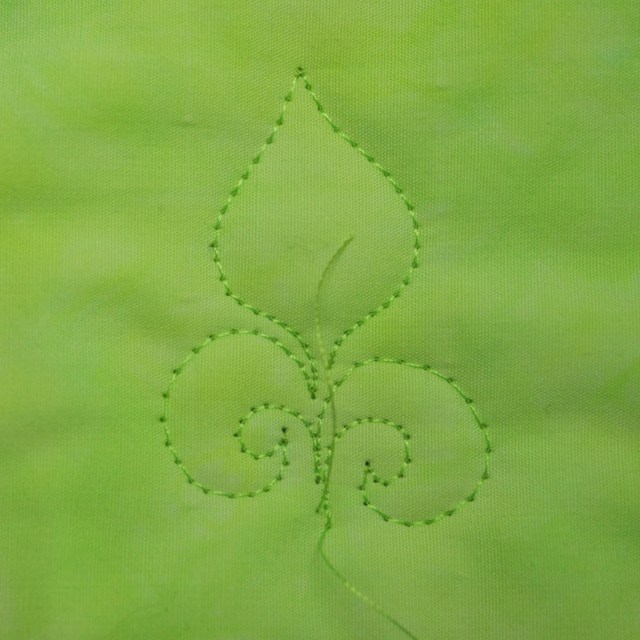 Today we will be working on the classic Fleur-de-lis (or lily flower) motif. We have two motifs today: The Basic Fleur-de-lis and The Deluxe Fleur-de-lis. Let’s start with The Basic Fleur-de-lis. For The Basic Fleur-de-lis, add a curvy line through the center of the Flame which will allow you to begin at the base of the next fleur-de-lis. 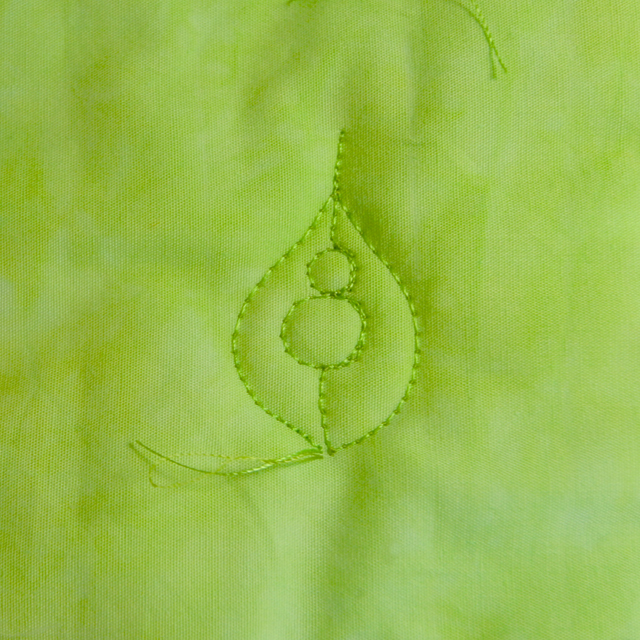 TIP-The Downward Curls and the Flame Stitch all meet near the middle of this motif. 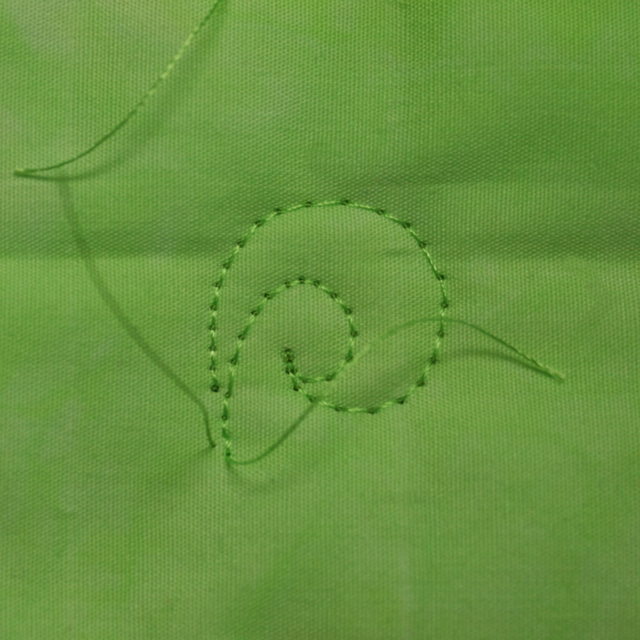 Be careful to offset them so that you do not overlap your stitches. 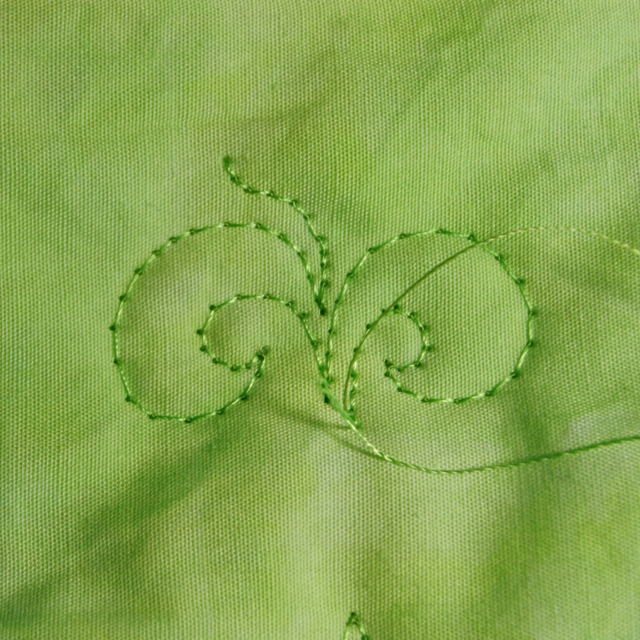 When stitches overlap, the quilting gets “thready” which is messy looking. After you complete the entire row of this motif, echo-stitch on both sides of the pattern. Tomorrow: It has been raining cats and dogs for the past two days, so tomorrow’s Work in Progress is a small Umbrella quilt. Next Week’s Tuesday Tutorial: Umbrellas for you! That looks fantastic. It’s nice to see it broken down in steps. Thank you for sharing. Love your tutorials, can’t wait to try this one! You always make it look sew easy, Lori! Thank you for this pretty one…it looks much more difficult. I’m off to make up ANOTHER quilt sandwich so I can practice it. 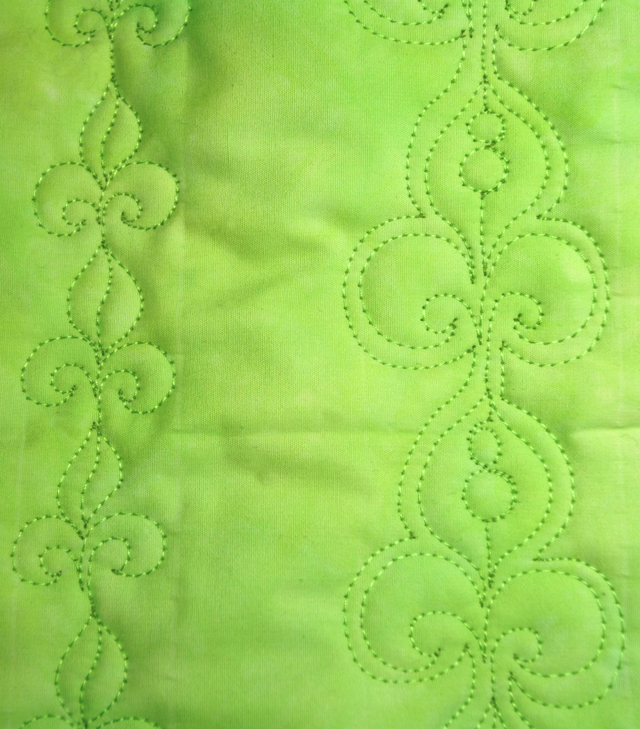 I’ve filled at least 3 & even started using a different colored thread to repeat the motifs in a different area. As I improve, I’m going to bind them & use them as hot mats in the kitchen. What a great idea! I just throw mine in a box (and rarely bind them). Any ideas for quick bindings? Oh, wow!!! Really, REALLY love these motifs! Thanks, Lynette! Have you stitched any of them onto quilts? without a video tutorial on this particular shape, it is too difficult for beginners. I understand the curls, but the flame shape in the middle is extremely difficult. I tried sketching it, I can’t even duplicate it on paper. If I can’t do it on paper, I won’t be able to do it on a sewing machine. Can you elaborate about how the flame shape is done? 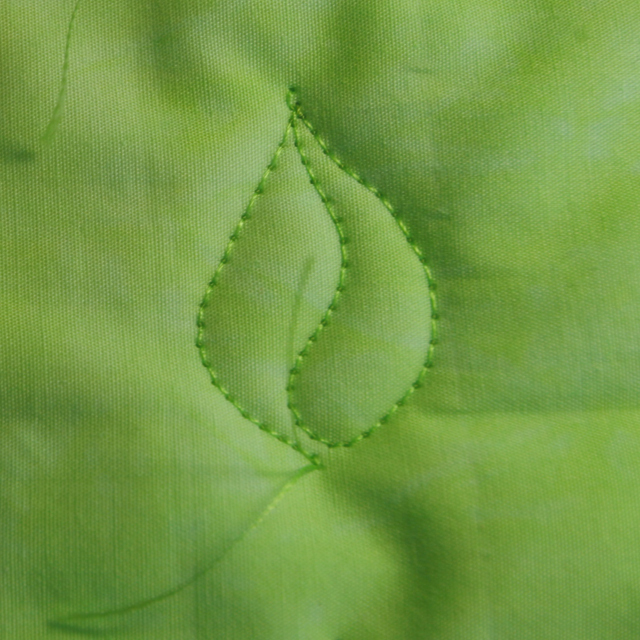 I will do a formal tutorial on the Flame Stitch –hopefully by next week. (I’m sorry but I’m not set up to do videos–yet). I agree that you have to be able to draw it on paper before you can do it on the sewing machine. Don’t be discouraged, just doodle it whenever you have five minutes…I like to doodle and practice the designs while I’m watching TV with my family. 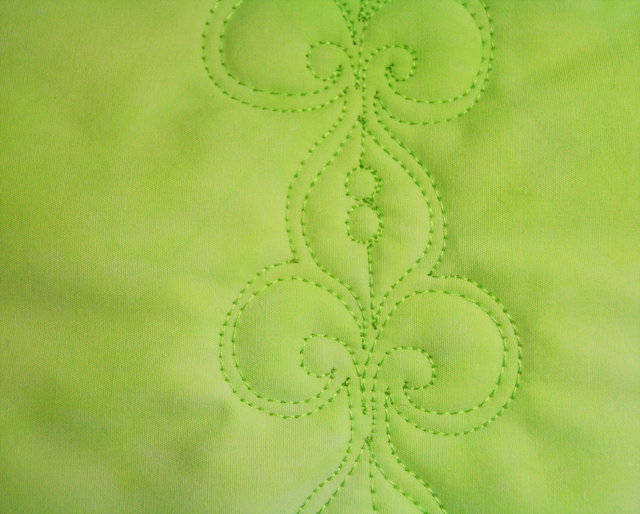 More awesome quilting and fabulous tutorial. Thanks for sharing. You’re welcome! 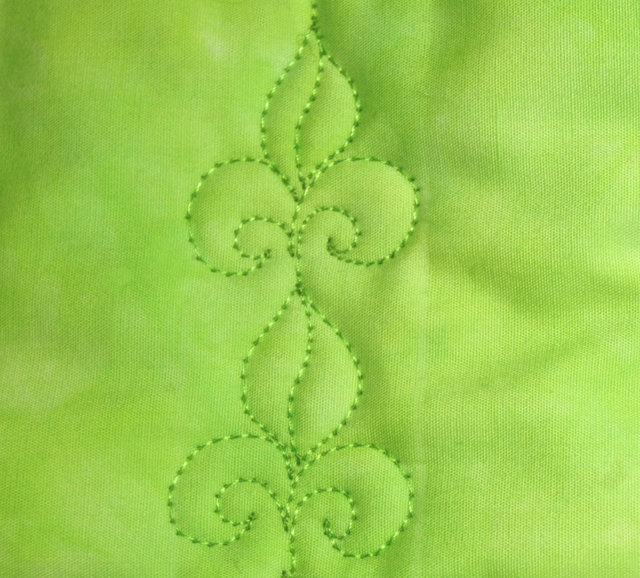 Who doesn’t love the fleur de lis motif? Thank you so much for your guide. I’ll follow you from now on. You may have addressed this in another post, so I apologize for asking, you can just send me the link if you want! 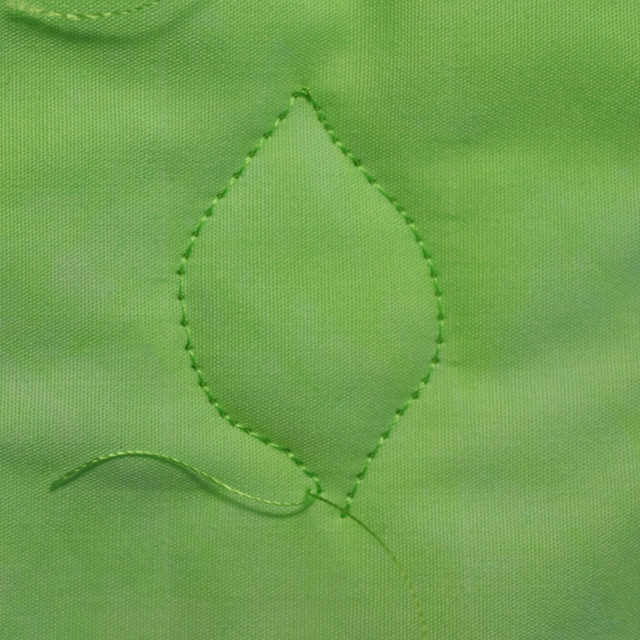 After you sew the connected design, do you go back to the beginning to do the echo (sewing bottom up) or do you just go back ‘down’ the design? I am concerned about the fabric distortion of 2 different directions. I do either way depending on which works on the quilt. I really don’t have problems with distortion.